Today’s Labor Day, and for our school district and the surrounding counties– it also signals the last day of Summer. Bummer on the one hand for the kids, but the excitement (at least for my second grader) is palpable at the same time. As always we try to spend the last days trying to soak up every ounce of our favorite things about the slow, stress free days of the season. This usually includes spending time with great friends, copious amounts of good food, especially grilled and with side dishes to boot, and the last rays of summer sun and fun. This year was no different and I was so excited to have on hand a big bowl full of our favorite edible discovery from this Summer– none other than this Jalapeno Popper Grilled Corn Salad. It’s the same great flavors you love from those fiery jalapenos stuffed with cream cheese and wrapped in bacon. The exception, which is also it’s revolutionary improvement? We’ve deconstructed it, tossed it all in a bowl and made it even better. Yes, with a stroke of genius we managed the impossible- to somehow improve upon the grilled delight that is the jalapeno popper. The secret? We stirred in a hearty amount of freshly grilled corn cut straight off the cob. I told ya it was genius! This recipe easily doubles, and if you’re making it to share as more than a simple side for dinner– I highly recommend it. It’s one of those things where the idea of a polite scoop flies out the window. Even with the most polished guests, you can’t help but dig in. And one taste, or one serving is never enough. The jalapeno popper just became a fun new dish to share. 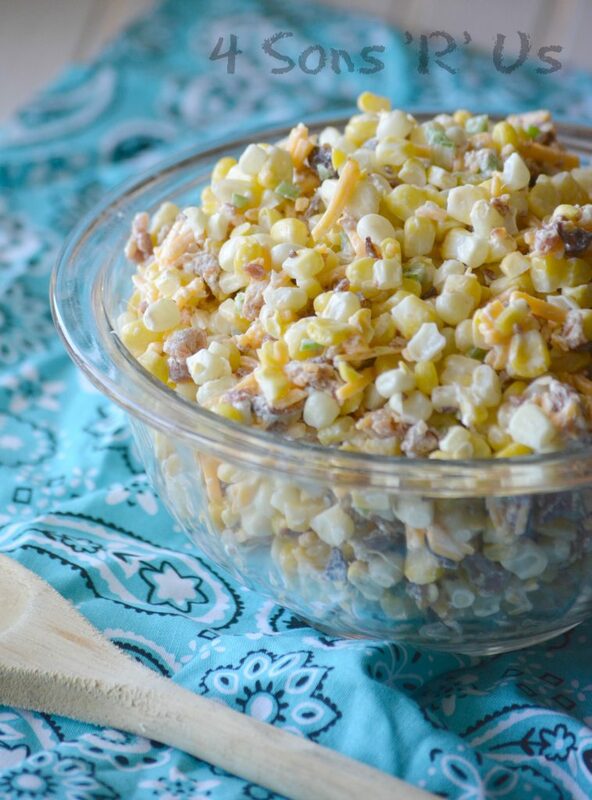 All the same flavors you love, combined with fresh grilled corn create a fun Summer salad you'll want to enjoy again and again. Prepare and heat the grill. Without actually shucking the corn, leave the husks attached, but remove as much of the silk as possible. (You can get any pesky stragglers after grilling.) Rub some olive oil into and evenly over each cob, and then lightly season them with salt and pepper. Using sturdy aluminum foil, individually wrap each of them, sealing them completely. Once the grill has finished heating, add the prepared corn and cover, cooking for 15-20 minutes. Turn the corn ever few minutes for even grilling. Transfer the cooked corn to a platter to cool, about 10 minutes or so, before removing the foil. Still be careful for any residual steam escaping. 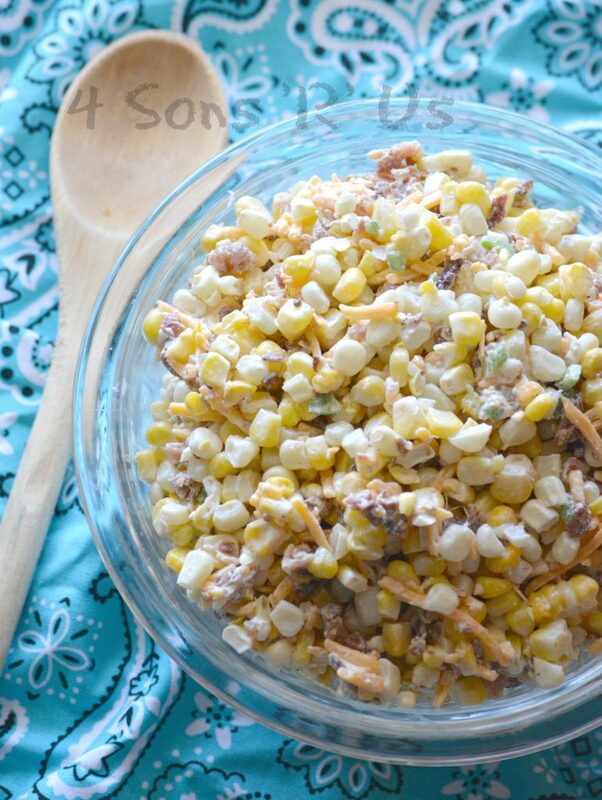 Trash the steamed husks and gently remove any leftover corn silk. 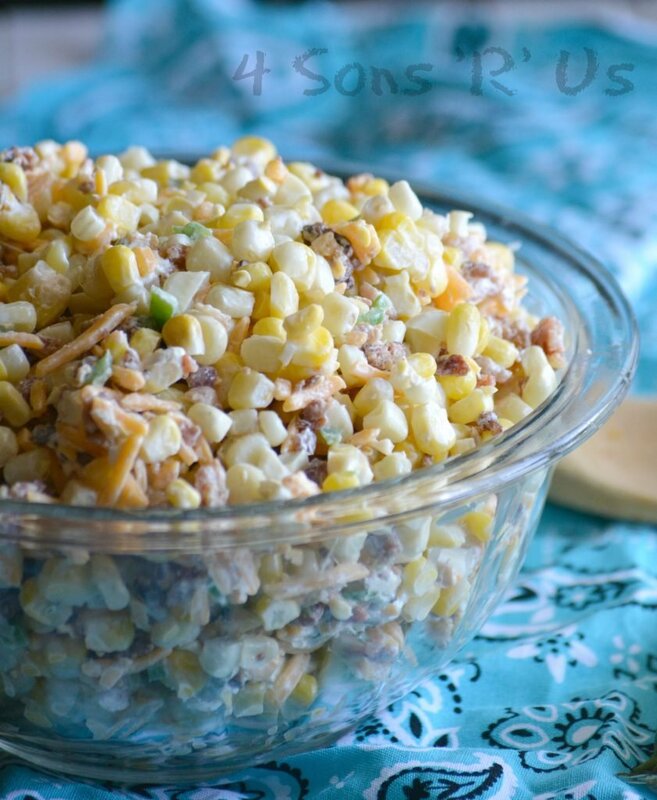 Using a sharp knife, cut the kernels off of the cobs and place them in a large bowl. Stir in the jalapeños, bacon, cheddar, cream cheese and sour cream until everything's evenly incorporated. Salt and pepper the dish as desired. Serve as is, or transfer it to a different bowl or platter for a prettier presentation. If you don't have a grill or don't want to mess with a grill, or it's off season and fresh corn's too expensive. You can use frozen. You'll need about 6 cups. Let it thaw completely and pan fry it for a few minutes in a bit of olive oil to get a bit of char on it before continuing with the recipe. Oh i love this idea for a side. You can never go wrong with jalapeño’s, corn and bacon. Happy FF! What a delicious salad with some of my favorite ingredients. I do like the addition of jalapenos as I enjoy a little heat. Great recipe to shared with Fiesta Friday. That little bit of kick from the jalapenos is what truly sets it apart for me. It’s so fresh, and so yummy! Another great recipe! I love the idea of this! Is this served hot or is it served cold?